In the last two years, I travelled the world with toddlers, camped with talking hot dogs, followed a fish through the streets of Belfast and aided giant ants build a colony. I did it all from my favorite place, a theatre. None of these theaters, however, had a proscenium and many of them didn’t even have seats. Rather, these memorable adventures took place in public atriums, converted classrooms, play-spaces, domes, tents, and even laundromats, some built or renovated specifically for the show. These works all gave the audience an opportunity to engage with unique physical spaces and as a result we became more deeply involved with the presentation. It’s my favorite kind of theater, encouraging children and parents alike to believe the world is yours. The world is your playspace! The world is your theatre! This year, I have been researching the creation of multisensory theatre for the very young and for children on the autism spectrum. Many of the pieces I’ve seen as part of this research have taken place in non-traditional settings, and those were in traditional spaces always found a way for children to engage directly with the action of the play. This interaction and multisensory theatre has been central to my research. I have had the opportunity to interview artists, observe rehearsals, and see new and innovative work like this from around the world. 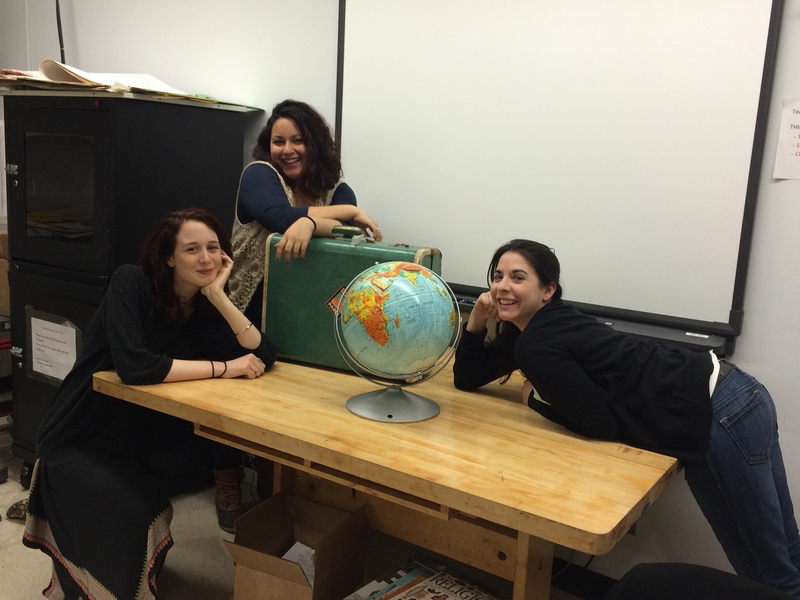 From left: Tamar MacKay, Janette Martinez, and Marielle Martinez, will be creating a new piece of TYA based on their research. Photo: Stacey Bone-Gleason. Multisensory theatre is the best way to engage an audience, explore cognitive abilities, and it is exciting to see how many children’s’ theater companies are making this a key part of developing new work. All companies I researched are involving children directly in the process to make their piece. Children’s’ involvement in these theatre pieces (both in the development of the show and in the actual performance) is empowering for the company and the children alike. It allows for children’s’ ideas to be heard and, ultimately, performed. 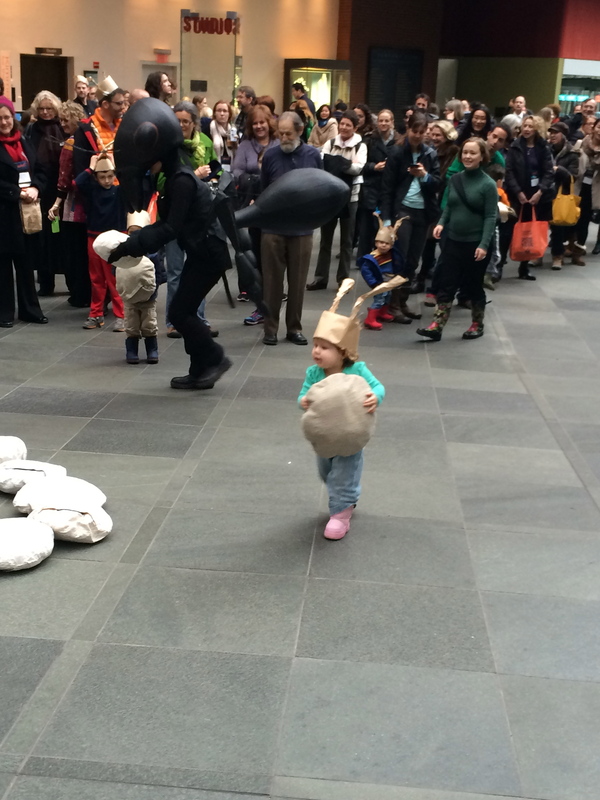 The result is children’s participatory roles in the performances themselves encourage engagement and can make for some fun, improvised moments between performance and audience member. All of the theatremakers we spoke to about multisensory TYA emphatically and without hesitation said, “do it!” (Literally- all of them said these words). Peter Musante of Trusty Sidekick Theater Company calls kids “co-conspirators” in their work. The workshops they hold in schools and the students they meet are instrumental to their ability to make new work. Replay Theatre, Spellbound Theatre, and Oily Cart all do significant work directly with children when they are developing or workshopping their pieces. Don’t get held up by catering to your audience. “Make the show that you want to make, for sure…be passionate as an artist personally about the project first and foremost,” says Drew Petersen of Trusty Sidekick Theater Company. The artists I spoke to were inspired by other prominent TYA makers, but also drew their inspiration from varied sources. Some of the inspirations for new work cited by those interviewed included Oily Cart, Windmill Theatre Company, Andy Manley, Robert Wilson, Janette Cardiff and George Miller (sound/visual art installation), and numerous movie soundtrack composers as artists. At the end of our research, my thesis group and I will be devising, and then performing, a multisensory piece of theatre for the very young, tentatively titled Taking Flight. The themes of the play were inspired by our interviews with artists, who encouraged us to explore and forge our own path in developing work for the very young. Following the best practice we have garnered from the artists we interviewed and observed, we will be working with preschoolers to develop the theatre piece. Who better to travel the world with than a group of toddlers? A very special thank you for all of the artists we have had the opportunity to speak with, work with, and observe, W. Riley Braem for the opportunity to contribute, as well as my CCNY Education Theatre 2015 cohort.